Come practice naname soloing with enthusiastic and supportive players! Are you nervous when asked to solo? Do you make mid-solo mistakes that shake your confidence? Imagine how much 90 minutes of weekly practice devoted entirely to soloing would help! Designed by the Matsuri Crashers, this drop-in class provides a weekly opportunity for quality drum time, with drills and concepts designed to improve confidence and musicality. 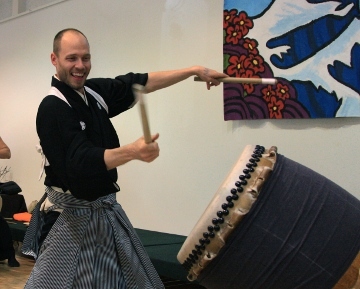 Come practice with LATI's professional players and like-minded taiko lovers! Online registration coming soon. Contact us by phone or email to register today!